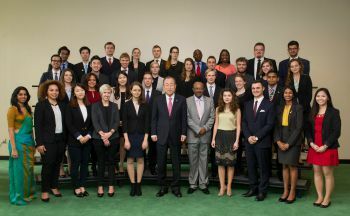 Laura John, aged 24, is the 2014 Australian Youth Delegate to the 69th session of the United Nations General Assembly. In this role, she has travelled around the country consulting with young Australians and looks forward to raising their key issues of concern, including education and mental health, at the UN General Assembly. Laura has worked with human rights organisations at home and abroad, including the Oak-tree Foundation, a youth-run organisation committed to ending extreme poverty, the Castan Centre for Human Rights Law, the Asylum Seeker Resource Centre and the Parliament of the World’s Religions. Laura has also worked with the United Nations High Commissioner for Refugees and human rights organisation, Human Rights First, in New York. She has recently completed her Bachelor of Arts/Bachelor of Laws from Monash University. In 2013, Laura was awarded Young Citizen of the Year for the City of Kingston and received the 2013 Sir John Monash Medal for Outstanding Achievement in the Faculty of Law from Monash University. 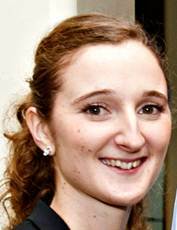 Lydia Walter, aged 24, is this year’s Austrian UN Youth Delegate. 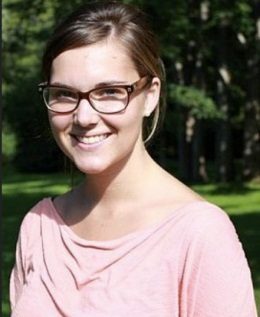 Lydia studied in the Netherlands and Italy and recently finished her Bachelor in International Relations. Her interest in the United Nations found its expression through organizing and teaching a university course on multilateral diplomacy with a group of fellow students. Her interest lies in international politics and human rights issues, and she had the privilege to deepen that interest through being a reporter for a student magazine on international affairs and through joining a local Amnesty International group led by young people. Lydia has travelled all 5 continents and speaks 5 languages fluently. Joey Dellatte is one of the two youth delegates from Belgium to the United Nations. He finished his master’s in Modern History and International Relations at the University of Liège (Belgium) as well as a cycle in Intercultural studies at the university of Quebec in Montreal (Canada) and a bachelor in Gender and Family History at the University of Siena (Italy). He was involved in the LGBTQI student and youth movement and became the co-founder of the french-speaking Belgium LGBTQI youth movements federation (CHEFF), where he is currently serving as the president. He is a board member of the global French speaking Belgium LGBTQI movement federation (Arc-en-ciel Wallonie). 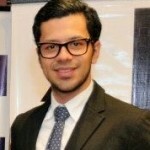 He is currently working as a youth policy analyst and advisor for Youth NGO Federation in Belgium. 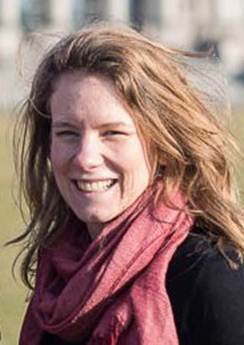 Lien Wyckmans, aged 22, is one of the two Belgian Youth Delegates to the UN. She represents the Flemish young people while Joey Dellatte currently represents the French speaking youth. She participated in the 52nd session of the UN Commission for Social Development and together with Joey will deliver again at the 69th session of the UN General Assembly. Lien is currently enrolled in her last year of Master of Laws, specializing in international en European law. She is actively involved in her law student union VRG, where she takes care of public relations. She did an internship at Vluchtelingenwerk Vlaanderen, an organization taking care of refugees. At the General Assembly, Joey and Lien will continue to make sure young people are seen as partners in global policy decisions, especially in the run-up to the Post 2015 process. Ani Koleva, aged 21, is one of the Bulgarian Youth Delegates to the 69th Session of the UN General Assembly. Ani is undertaking a Bachelor degree in Finance and Accounting at the University of National and World Economy, Bulgaria. Ani participated in the Bulgarian Young Leaders Program conducted in New York, Boston and San Francisco as a scholarship student of America for Bulgaria Foundation. Ani is working in the field of youth policies and leadership since 2009 when she joined Leadership Academy GLOW as a coordinator. She is also a leader of the Duke of Edinburgh’s International Award for Bulgaria and alumni of the Young Leaders Program organized by the National Youth Forum. Ani has participated in many international projects such as “Youth of the World – Trainers on Global Issues”, “Advocacy – Make Yourself Heard”, “Empowering women III”, “Euroweek” and others. Daniel is in the first year of his PhD in religious studies. 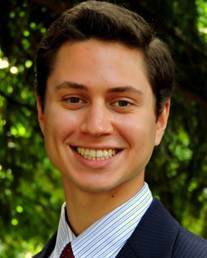 Daniel is currently conducting research on the modern state and its theological paradigms, focusing on the political philosophy of Giorgio Agamben and the liberation theologies of Jon Sobrino and Ignacio Ellacuria. Lasha Shakulashvili is the Georgian Youth Representative to the United Nations 2014/2015 and Georgian youth delegate to the 69th United Nations General Assembly. Growing up in an intercultural city of Tbilisi and being interested in learning more about different cultures, religions and languages motivated him to pursue his studies in International Relations. Lasha also holds MA degree in Public Administration. He has studied at the Universities in Georgia, England, Latvia and Germany. Lasha has actively been involved in youth activities and is member of youth organizations such as AIESEC and ELSA Ireland. 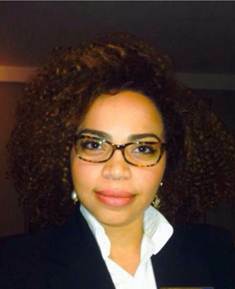 Since 2007, Lasha has been working for various international and state organizations. Lasha got interested in the United Nations while attending the European Model United Nations in the Netherlands in 2011. In 2012 he participated in the Price Media Law Moot Court Programme at the University of Oxford. In 2013 Lasha interned at the Republican Party in Dublin and carried out research at the Institute of Public Administration of Ireland (IPA). Lasha has participated in seminars, trainings and volunteered in various countries throughout Europe. He is actively engaged in working with youth with disabilities and residing in mountainous regions of Georgia. In addition to his native Georgian, Lasha speaks English, Russian, Spanish and Latvian. 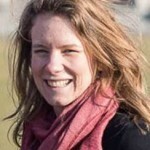 Celina Sharon Greppler was appointed UN Youth Delaegate in February 2014 and she will represent young people living in Germany in the 69th session of the General Assembly and the Commission on Social Development in February 2015. Celina studies Philosophy and Law at Saarland University in Saarbrücken, Germany. Since she was a child she has been playing soccer and she considers sport as an important integrative power. Since high school, she has been actively involved in YMCA groups, especially in organizing sailing trips and weekly meetings for young people with different backgrounds. After having spent one year in Argentina 2007, she is also involved in American Field Service (AFS) activities. After her A Levels, she spent one year in Mozambique doing the global learning programme “weltwaerts” of the German Federal Ministry of Economic Cooperation and Development. As part of an NGO-Delegation, Celina participated in BIMUN and NMUN before she was elected as adviser of the NMUN Delegation in 2014. Ozan Solmus, aged 20, studies Medical Science in Mainz, Germany and is appointed as a German Youth Delegate in February 2014. Together with his colleague Celina Greppler he will accompany the German Delegation to the 69th General Assembly as well as to the Commission for Social Development in February 2015. 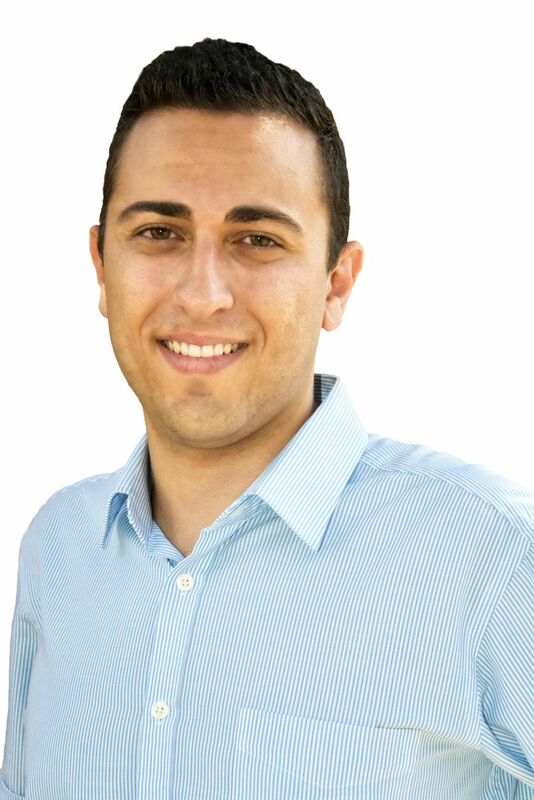 Beyond that, Ozan is active in the Green Youth, the youth organization of the Green Party. After his A levels, he spent a year volunteering with an NGO for child and women’s rights in South India. Ozan is keen to work on issues dealing with the reasons and aftermaths of modern migration. 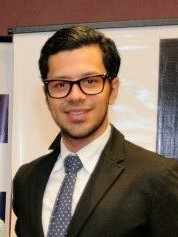 Daniel Rosa is the first Honduran Youth Delegate to the United Nations. He holds a Bachelor’s degree in Political Science from Florida Atlantic University in the United States, and a Master of International Business Administration from Nova Southeastern University in the United States. Also, he attended the University of Cambridge in the United Kingdom, where he took courses in economics and politics. Additionally, he received an Honorary Doctoral degree in Latin American politics from the Organizacao das Americas para a Excelencia Educativa of Brazil for his support to the Honduran electoral processes. Daniel is the Model United Nations Advisor at Albert Einstein International School of San Pedro Sula, in Honduras since 2008. He is also a Convention Delegate and an active member of the youth committee of the National Party of Honduras, representing the Hondurans living overseas since 2013. Rasha Athamni is the Israeli Youth Delegate to the 69th Session of the General Assembly. She graduated from Hebrew University in Jerusalem after completing her studies in psychology and English literature. Currently, she is pursuing a Masters in English literature, focusing on Testimony in South African literature. Rasha is a member of the Model United Nations club at the Hebrew University and has been active in various programs at the Hebrew University and The NGO Israeli Institute for Social Justice to protect the rights of youth, women, disabled students, disadvantaged ethnic groups, and refugees. Arnold Melba is one of the Kenyan youth delegates to the 69th session of the General assembly. He holds a Bachelor of Arts in Leadership and Management (BALM). He worked as a journalist for five years growing through a media house’s rank of a cub reporter, staff writer, sub-editor and finally the editor. He is a member of Kenya’s National Youth Council (NYC) representing the country’s capital Nairobi Region – at the council. 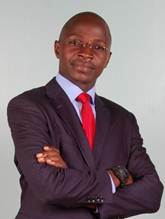 He is also seated in the Kenya National Chamber of Commerce and Industry’s (KNCCI) Youth Standing Committee. At the local level, he initiated the formation of the newly established Nairobi County Youth Advisory Board (NCYAB) – a grassroots youth engagement framework, where he also sits as a board member. Gladwell Kahara is the first official Kenyan Youth Delegate to the United Nations. She studied international relations at the United States International University. She has represented the Kenyan Youth at the ECOSOC Forum on Post 2015, New York, May 2014, UN World Urban Forum, Medellin, Colombia, April 2014, Global Peace Convention, Malaysia, Dec 2013 and the 5th UN Global forum, Vienna Austria, Feb 2013. She was also the Official Youth Delegate to Rio+ 20- UN conference on Sustainable Development, Rio, Brazil (June 2012) where she mobilized youth delegates from all over the world to support Kenya’s resolution to upgrade UNEP in Nairobi. Jae Won Yu, aged 24, is one of the Youth Delegates of the Republic of Korea to the 69th session of the General Assembly. He is currently majoring taxation at the University of Seoul and just finished his internship at the National Assembly of Republic of Korea. In the Assembly, He worked as a secretary under Congressman Young Seok Yoon. Soeun Sim, aged 20, is one of the Youth Delegates from the Republic of Korea to the 69th session of the General Assembly. She is an undergraduate student at Ewha Womans University. Ryan Mercieca is the Maltese Youth Delegate for the 69th session of the General Assembly. He is currently studying M.A in Business & Entrepreneurship at the University of Malta.In 2014, he was selected as a young leader to participate in Generation Next: Russia’s youth leaders program. He was also selected for the prestigious International Visitors Leadership Program (IVLP) program of the US State Department in 2013. He was a finalist for the Young European Award 2013 organised by the Schwarzkopf-Stiftung Junges Europa Foundation. Ryan Participated as a Youth Expert in the 9th Ministerial conference in St. Petersburg in 2012. In 2011 the European Commission selected him as a youth ambassador for the EU-China Year of Youth. 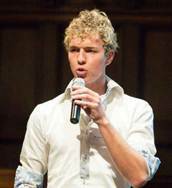 Jilt van Schayik, aged 23, from Langenboom, is the Dutch youth delegate to the 69th United Nations General Assembly. Jilt studied Business at Fontys University of Applied Science in the Netherlands. As part of his study, in 2012 , he did his internship at the Head Office of Volkswagen India. Inspired by the stories, challenges and dreams of young people he met around the world, Jilt’s work as youth representative focuses mainly on putting youth at the center of the post-2015 development agenda. In this respect, he attended the World Conference on Youth, the 3th Africa – EU Youth Leaders Summit and the 52th Commission on Social Development. During the last six months of his two-year term, Jilt will cycle from Amsterdam to Cape Town to picture the post-2015 agenda from a different perspective. Adrian Lorentsson, aged 26, from Norway, is one of two Youth Delegates to the 69th Session of the United Nations General Assembly. 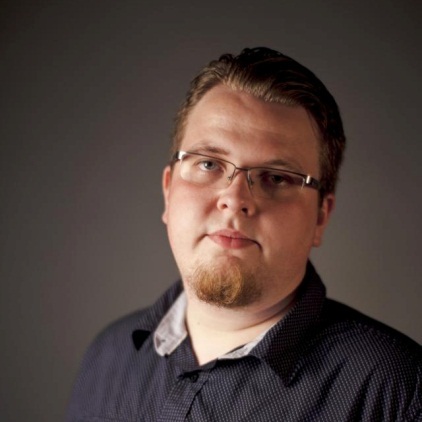 He is the president of the Norwegian Association for Youth Mental Health. Since 2006 he has been working for the rights of young people suffering from mental health problems and advocating for a more inclusive society especially for youth receiving mental health care services. Maria Göthner, aged 24, from Norway, is one of two Youth Delegates to the 69th Session of the United Nations General Assembly. She is currently working as a political adviser to the governing mayor of Oslo. She has previously finished her bachelor’s degree in International Relations at the University of Oslo and is currently undertaking her master’s degree in economics at the Norwegian Business School. She recently ended her term as the international secretary on the board of the Norwegian Young Conservatives. 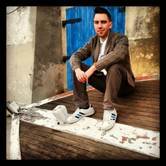 Luca Ciubotaru, aged 22, was appointed as Romanian Youth Delegate in September 2014. Luca holds a Bachelor degree in Law at the University “Alexandru Ioan Cuza” from Iași, Romania. Currently, Luca is studying MBA in Criminal Sciences. Luca visited and observed the functioning of important European institutions, including European Parliament, European Commission and European Court of Human Rights. As part of an Erasmus study mobility he went to the University Paris 13, Sorbonne. He also participated in the 25th session of the United Nations Human Rights Council as a representative of the European Law Students’ Association. Bianca Dragomir is one of Romania’s UN Youth Delegates for 2014-2015. She studied Communication and Public Relations and has a ten year career in academic debate. She has performed in numerous national and international debate competitions, reaching the finals of prestigious tournaments, such as the European Universities Debating Championship or the Oxford IV. She believes critical thinking, active listening and argumentation skills are strong tools for civic involvement and better dialogue, so she enjoys training debate to youth from all over the world. Bianca also experienced working with children from a vulnerable neighbourhood in Bucharest, Romania, which proved to be humbling and challenging, yet rewarding. Miha Pongrac is the Youth Delegate from Slovenia to the 69th session of the General Assembly. He holds a Master’s degree in International Security and Law and the first UN Youth Delegate from Slovenia elected in April 2014. He started working with the youth and youth related policies during his bachelor’s studies of International relations. At that time he became an active member of the Model United Nations group at the Faculty of Social Sciences and have helped organize the local Model United Nations SiMUN in 2010 as well as had the chance to be the Secretary General of the SiMUN in 2011. Joanna Blossner, aged 23, is the Swedish Youth Delegate to the 69th session of the UN General Assembly. She studies International Relations and Economics at Stockholm University. Joanna also took part in the Global Forum on Migration and Development 2014 to raise the issue of the crucial role of youth as agents for development. Joanna is a youth activist and has been engaged in various youth organizations and was nominated to the commission by the Swedish Association of International Affairs and was appointed by the National Council of Swedish Youth Organizations. To secure sustainable development and the full enjoyment of human rights, influence is required. Therefore, as a youth representative she will work for increased influence and power for youth through participation in decision making. Simone Fehr is United Nations Youth Delegate of Switzerland 2014. 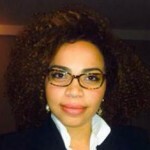 In addition to several years of professional experience in the private sector, Simone recently obtained her bachelor degree in International Management, having studied in Zurich and Montreal. She is now a master student in International Relations at the London School of Economics and Political Science. Simone has been involved in various youth-related projects within Switzerland as well as abroad and is active as a volunteer for the Red Cross in her hometown. Mahishaa Balraj is one of the two Sri Lankan Youth Delegates to the UN General Assembly. Mahishaa grew up in the Sri Lankan capital city of Colombo. She serves as the Co-ordinating Secretary of Unity Mission Trust; a non-profit organization that is dedicated to fostering unity, integration, healing, and reconciliation between young adults in the Wanni and their peers from all over Sri Lanka. Her work entails travelling across Sri Lanka to communicate and co-ordinate with young leaders and to conduct and execute field projects that aim at developing leadership skills, capacity development, and self-confidence empowerment. Mahishaa holds a Bachelor’s degree in Electronic and Communication Engineering from College of Engineering Guindy, Anna University and is currently pursuing a degree in Law at the University of London. Her undying passion for women empowerment led her to become the President of Aakriti, Girls Forum of College of Engineering Guindy, Chennai, India. During her term she successfully conducted the first ever Aakriti Model United Nations, where she also served as the Secretary General. Senel Wanniarachchi is a writer and a columnist to several newspapers, magazines and blogs. He is a Senator in the Sri Lanka Youth Parliament. Senel was a member of the International Youth Task Force that was to advise on the preparations for the World Conference on Youth which took place in May 2014 in Colombo. He was named a ‘Global Changemaker’ by the British Council and a Commonwealth Changemaker’ by the Commonwealth Youth Exchange Council. He was Sri Lanka’s youth delegate at the 2013 UNHABITAT Governing Council meeting in Nairobi. He is an Ambassador for Young Men for Gender Equality and is a Champion of the International Planned Parenthood Federation. He was also a member of the National Steering & Advisory Committee for Sri Lanka’s National Human Development Report for 2014. He is an official correspondent of the UN Information centre in Colombo and wrote the Rio+20 success story for Sri Lanka. He is currently pursuing a degree at the University of Colombo in International Relations (special), Political Science and Sociology. Patpicha Tanakasempipat, aged 21, is one of the two Thai Youth Delegates to the 69th Session of the UN General Assembly. She is currently in her senior year, majoring in English and minoring in German at the Faculty of Arts, Chulalongkorn University (CU). Patpicha has keen interests in International Relations, Philosophy and Literature. Actively involved in the affairs of international communities, she has represented her country in an educational youth initiative sponsored by Germany’s Foreign Ministry and arranged by the Goethe-Institut in Germany (2009) and participated as a part of the organizing committee at the 42nd International Physics Olympiad held in Bangkok, Thailand (2011). In 2013, she was selected as one of the University’s student delegates to the Philippines as part of the CU-ASEAN Youth Exploration program. A strong believer in education, Patpicha often volunteers to teach English in public schools in Bangkok and other provinces. Pongsan Ahkuputra, aged 21, is one of the two Thai Youth Delegates to the 69th Session of United Nations General Assembly. He is pursuing a Bachelor degree in Business Administration at Chulalongkorn University in Bangkok, majoring in International Business Management. He spent nearly eight years living and studying in Helsinki, Finland, where he graduated from Helsingin Suomalainen Yhteiskoulu’s International Baccalaureate (IB) Diploma program. Pongsan helped found Thailand Creativity-Action-Service (CAS) project in 2011, where he took part in a two-week community service with seven other Finnish student volunteers at Father Ray’s Foundation in Pattaya. 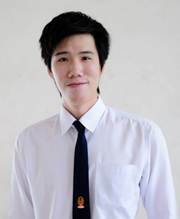 He also participated in three United Nations Mock-up sessions while studying in Helsinki, and has recently won a Public Speaking contest on the Topic of “A World Free of Nuclear Weapons”, organized by the Ministry of Foreign Affairs of Thailand to commemorate the International Day for the total Elimination of Nuclear Weapons. He is currently the Vice President of AIESEC club at Chulalongkorn University, a global youth network that provides cultural exchange opportunities to students by sending them abroad to work or take part in community development projects. Viktoriia Shvydchenko is one of the first Ukrainian Youth Delegates to the 69th session of the UN General Assembly and co-initiator of the Program together with her colleague Viktoriya Luchka. She was appointed by the Ukrainian government in October 2014 and represents the interests of Ukrainian youth as a part of the official Ukrainian delegation to the United Nations. Viktoriia holds a BA in International Relations from the Institute of International Relations of Taras Shevchenko National University of Kyiv. She also studied in the U.S. Department of State sponsored Global UGRAD program in Lewis and Clark College, where she participated in Model United Nations conferences as part of the college delegation. From July to September 2013 she held an internship in the Political Section at the Permanent Mission of Ukraine to the UN in New York. Since 2012 she has been a member of the US Embassy Youth Council and the NGO “Youth Diplomatic Initiative”. Currently, Victoriia is a WAAS (World Academy of Arts and Science) Junior Fellow and the Head of External Relations of Lviv Academy for Human Rights of Don Bosco. Viktoriia is passionate about UN, global politics and diplomacy and believes that youth empowerment and youth activism are the key to a more effective, inclusive and sustainable international system. Viktoriya Luchka is one of the first Ukrainian Youth Delegates to the 69th session of the UN General Assembly and co-initiator of the Program together with her colleague Viktoriia Shvydchenko. She was appointed by the Ukrainian government in October 2014 to represent the interests of Ukrainian youth as a part of the official Ukrainian delegation to the United Nations. In 2014 Viktoriya graduated from Ivan Franko National University of Lviv with BA degree in International Law. In 2012 – 2013 Viktoriya studied on the U.S. Department of State Global UGRAD program at Utica College, where she served as a President of Amnesty International Group and working as an Assistant to the Director of Human Rights Advocacy Program. In February – May 2014 Viktoriya had an internship at the Agency of Ukrainian Parliament Commissioner for Human Rights in Western Region. Gained experience has inspired Viktoriya to work in the sphere of human rights education, co-founding NGO Lviv Academy for Human Rights of Don Bosco, where she currently serves as a President. Being a WAAS (World Academy of Art and Science) Junior Fellow, Viktoriya is profoundly interested in international human rights law and advocacy, youth policies and international security. She strongly believes that young people can bring positive change on national and international levels. During his undergraduate career, Jackson simultaneously served as Director of Communications to Oregon State University Mortar Board, Foreign Affairs Campus Coordinator to the U.S. Department of State, and student representative to the University Honors College Council of the Faculty Senate. Jackson has lived and worked independently in Europe, Oceania, and the United States and most recently occupied a post-baccalaureate research position in Dublin, Ireland, addressing paleo- and climate change biology. He has co-authored research findings accepted to the journal Landscape Ecology and is an impassioned LGBT and minority rights activist.